Enjoy a festive family-friendly dinner and celebrate with the Torah! 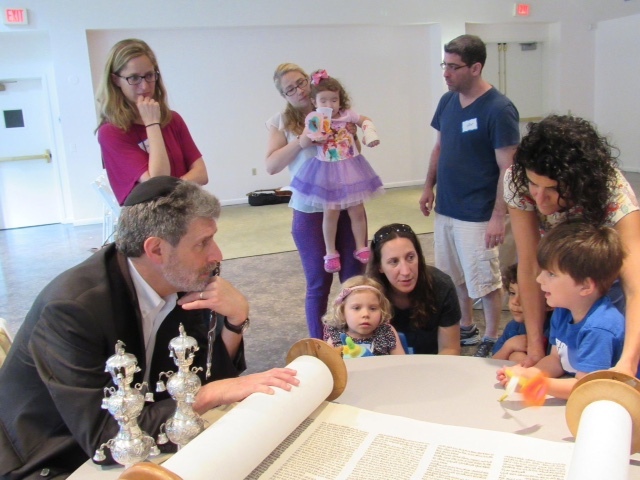 Kids (and adults) will be captivated as we unroll the Torah scroll and see its beauty up close. The Rabbi will lead us on a guided tour of the Torah and we'll get the room warmed up with some dancing with our live band! Questions? Contact Ann or Michelle.